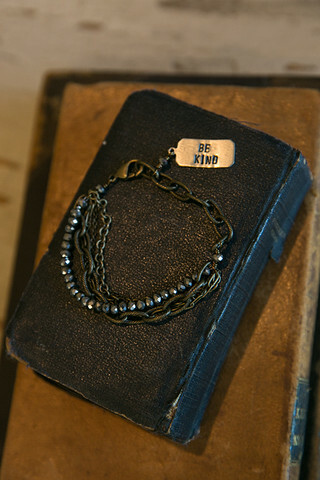 A two toned bracelet that reads Be Kind. 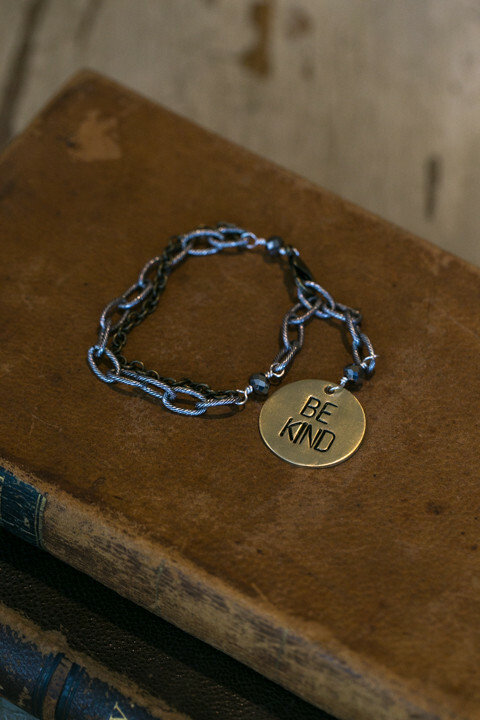 The Circle Be Kind charm bracelet has a thicker silver chain adorned with a second brass colored chain that is smaller. 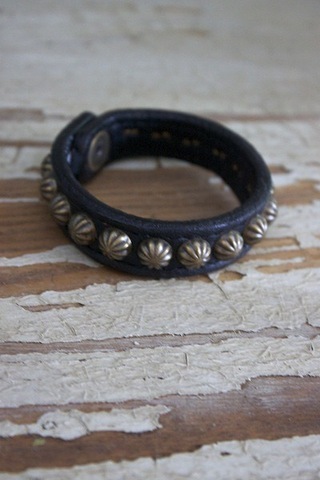 Three silver smoke beads add a pop of sparkle to this bracelet that is made to stand out. 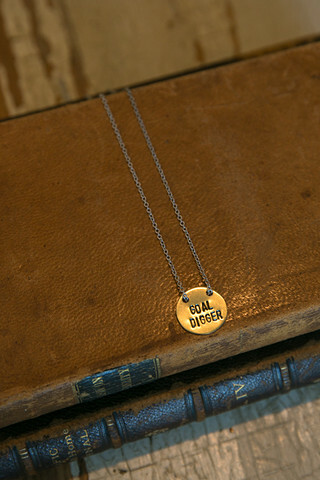 Made by NLS Jewelry.